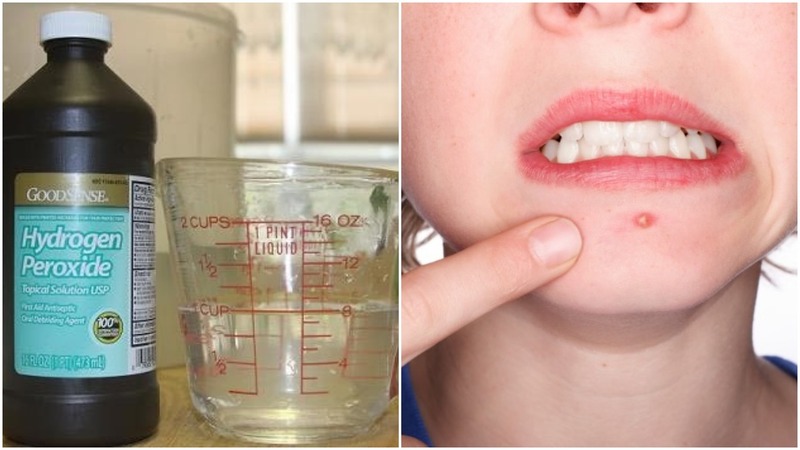 Home LEARN DIY 15 Surprising Ways You Can Use Hydrogen Peroxide. Hydrogen peroxide: H202. Odds are, you already have it in your house. If not, you can pick it up at any grocery store or drug store for just a couple of dollars. In fact, it’s one of the lowest-cost, handiest household supplies there is. And you would be surprised at just how many ways you can use it for cleaning, hygiene, healing, style, and more. I’m going to share a ton of amazing hydrogen peroxide uses with you, but first, I want to introduce you to this incredible chemical compound and its properties! Hydrogen peroxide is a colorless liquid, only a little more viscous than water. On sight, it actually looks exactly like water. It has powerful oxidizing properties, which allows it to work as a bleaching agent (as anyone who has ever bleached their hair knows, peroxide reacts with melanin to oxidize it and convert it into a compound which is free of color). Hydrogen peroxide’s same oxidizing properties allow it to react with bacteria, viruses, spores, and yeasts, making it a great disinfectant. Also, interestingly enough, in high concentrations, it can be used as a propellant in rocketry. If you have ever used hydrogen peroxide to disinfect a cut, you probably have noticed all the fizzing and bubbling that happens. There is a misconception that this is the “last gasp” of the dying organisms. What it really is, is the result of the H202 bonds breaking during the reaction. One of the oxygen molecules is liberated, leaving H20 (water!) behind. The free oxygen molecules are what you see bubbling to the surface. Isn’t science awesome? But now, let’s get on to the many amazing applications of hydrogen peroxide around the home! 1. 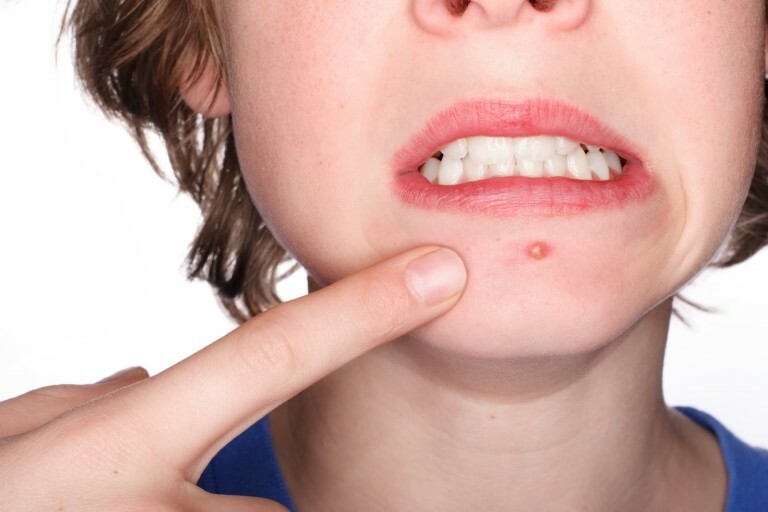 Clear up acne by using hydrogen peroxide as a face rinse to kill the bacteria that cause acne and help tone your complexion. 2. Whiten clothes without bleach. Adding one cup of hydrogen peroxide to your washing machine is a great way to naturally boost whites, remove stains and clean your machine at the same time. It’s simply a win + win! 3. 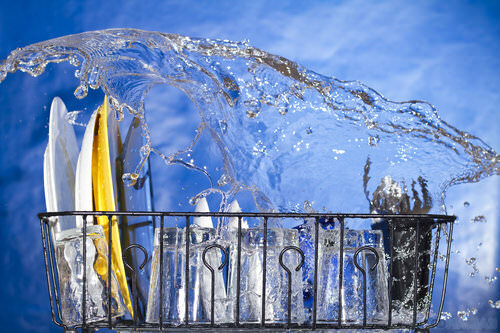 Give your dishes and dishwasher a boost by adding two ounces of hydrogen peroxide to your dishwasher detergent. Hydrogen peroxide provides super-sanitizing results. 4. 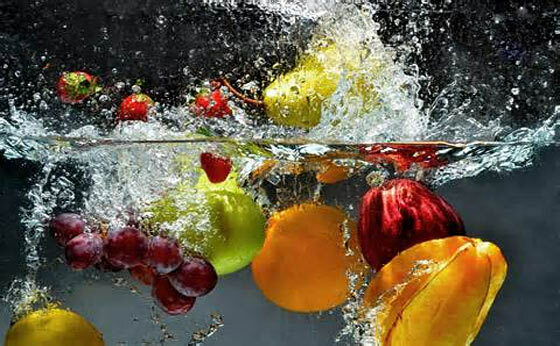 Remove harmful chemicals and bacteria from your veggies. Instead of rinsing vegetables in running water (which isn’t effective, by the way) trade it for a hydrogen peroxide soak. 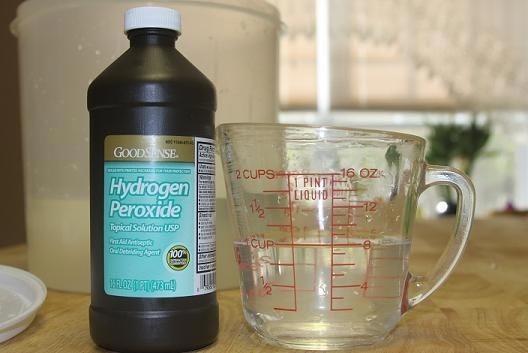 Make your own soak by adding just 1/4 cup of hydrogen peroxide to a sink full of cold water. 5. Soften ugly corns and calluses by mixing equal parts of hydrogen peroxide and warm water to make a foot soak that will naturally soften them and make your feet feel brand-new! 6. 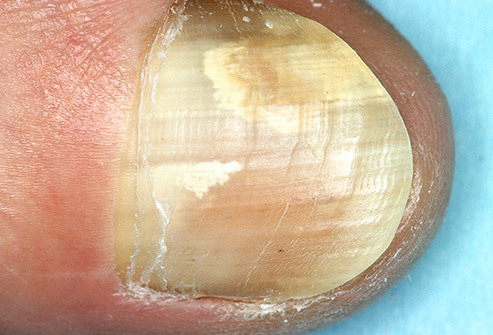 Treat painful toenail infections by soaking the infected foot for 20 minutes daily in half a gallon of warm water mixed with half a cup of three percent hydrogen peroxide.